I have developed analytical methods of persistent organic pollutants (POPs) and polycyclic aromatic hydrocarbons (PAHs). Further, I have investigated their abundance and behavior in the environment in selected Asian regions. Regarding the analytical methods, I here present two accomplishments as follows: (1) an extraction method for dioxins from sediment using a pressurized liquid extraction and (2) a compact sampler designed for the simultaneous collection of atmospheric PAHs in size-fractionated particulate matter and the gaseous phase. In the latter case, I could demonstrate the distribution characteristics of the POPs and PAHs in the Asian regions. 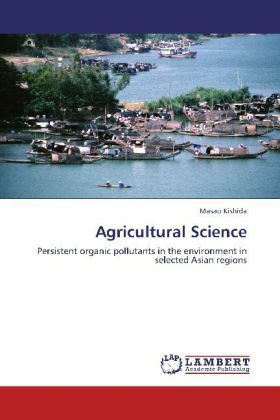 In this book, I provide my main results as follows: (1) temporal change in atmospheric PAH concentrations in particulate matter from Nepal, Vietnam and Japan, (2) atmospheric PAH concentrations in both particulate matter and the gaseous phase at roadside sites in Vietnam, (3) presence of eight kinds of POPs and sixty-four PAHs in sediment samples from Vietnam, and (4) characteristics of the abundance of dioxins in sediment samples from Can Gio, South Vietnam and Japan.